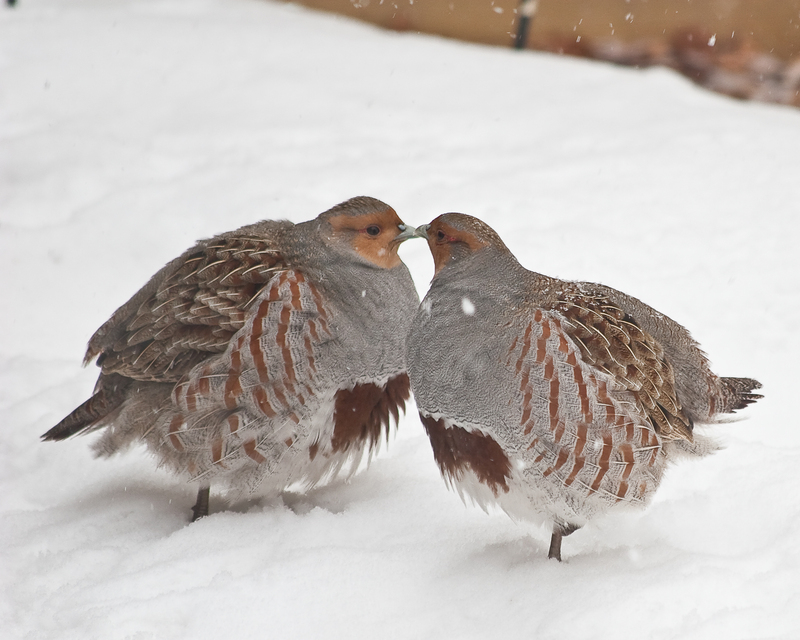 In spite of my obsession with birds, my true love never gave me a partridge in a pear tree, let alone any of the five other birds mentioned in ‘The Twelve Days of Christmas’, a carol published in England 214 years ago. Even a non-birder should find it interesting that half of the gifts immortalized in that old song are birds. If you share my curiosity, read on. 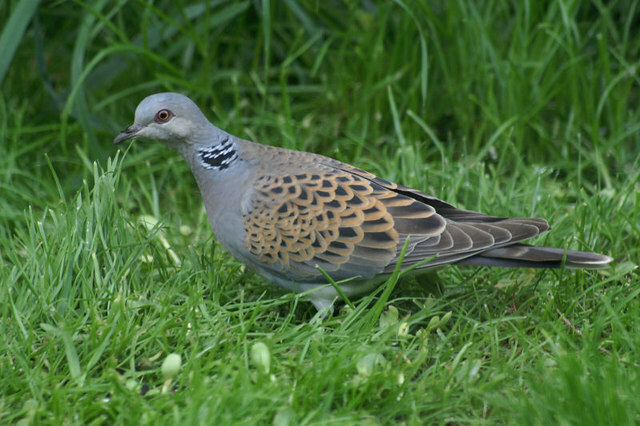 The song’s turtle dove is the European Turtle Dove, a bird that looks a lot like our Mourning Dove. The Turtle Dove migrates to southern Africa each winter, and there might be times when you wish ours would. Unlike our dove, the Turtle Dove population has dropped by nearly two-thirds, in part due to the other hemisphere’s pathetic practice of shooting migratory birds for fun. More cheerfully, the three French hens in the song would have been a welcomed gift, since French chickens (Faverolles) are gentle, good pets that lay lots of eggs. They’re also good to eat, which might rule out the family pet idea. I used to think the fourth gift was ‘Four calling birds’, but when researching this article, I discovered it was ‘Four colly birds’. Live and learn. It turns out that a colly bird is really a blackbird, specifically the Common Blackbird. This European bird actually is a thrush like our American Robin, and not a true blackbird at all. Maybe that’s why they called it a colly bird. This bird is also somewhat of a celebrity. It was considered sacred in classical Greek folklore, and it’s the subject of ‘Sing a Song of Sixpence.’ If you remember that poem, four and twenty blackbirds were baked in a pie, a dainty dish they set before the king. In medieval times, they actually put live birds under a pie crust just before serving, which could explain how the birds were able to sing when the pie was opened. The poem ends with a blackbird snipping off the nose of the king’s innocent maid, proving there was little justice back then. In spite of this, the Common Blackbird is now the national bird of Sweden. The final two birds of the song are action figures, possibly because ‘six geese-a-laying’ and ‘seven swans-a-swimming’ was a transition from perching birds to leaping lords. In any event, these birds are more familiar to Americans. We once lived on a river in Oregon, and didn’t have to travel far to see Tundra Swans. Our Canada Geese fit the song well, too, laying each spring and raising dozens of goslings in our backyard. Here in SaddleBrooke, you get a backyard full of quail instead of geese. Sort of like geese, quail lay lots of eggs, raise dozens of chicks and run around eating your flowers. 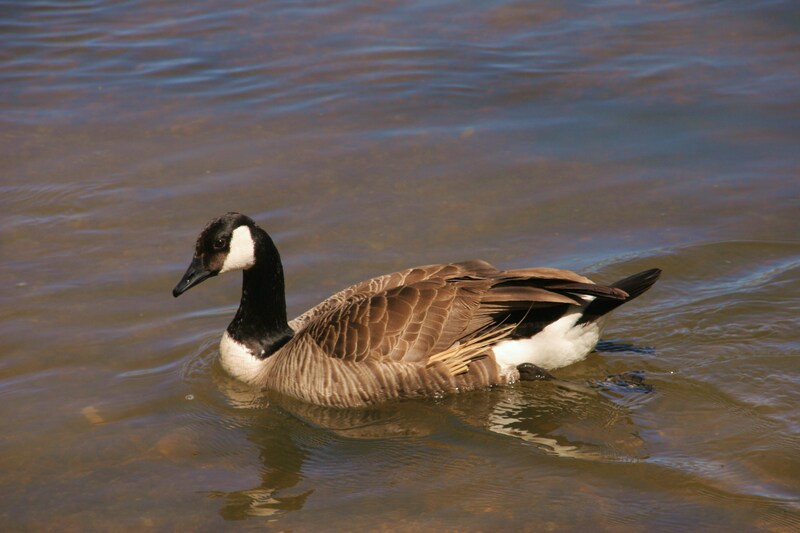 Unlike quail, Canada Geese stand three feet tall, have a wingspan of five feet and perpetually pump out fertilizer. When you hear ‘The Twelve Days of Christmas’ this year, be thankful you’re in Arizona. This entry was posted in Birding the Americas and tagged birds in christmas carols, Christmas Carols, the twelve days of christmas. Bookmark the permalink.